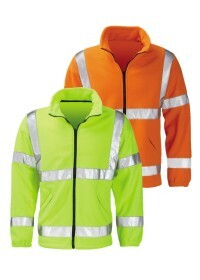 A Hi Vis Fleece is a fantastic way to remain well seen and safe on site or when working on the roads or railway, whilst always keeping warm at the same time. 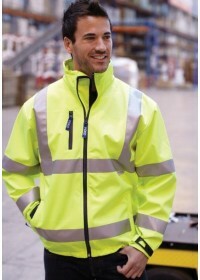 We have several styles and sizes to choose from here at hivis.co.uk. We supply Hi Vis Fleece Jackets that can be bought in a normal fleece design or as a high visibility softshell jacket to ensure you stay toasty even if you are working outside during the colder months of the year. 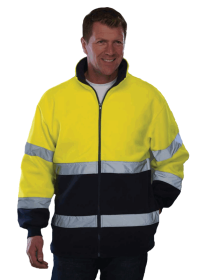 High Visibility Fleece Jackets that we provide to workforces each come with a full-length zip as well as zipped pockets to ensure that you can safely carry around items inside the jacket. 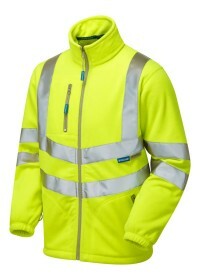 They all come complete with several reflective hi visibility strips that allow the wearer to stand out and to be clearly seen. As with all the hi vis products we sell, our fleeces conform to ENISO20471 standards, which you can read more about here.